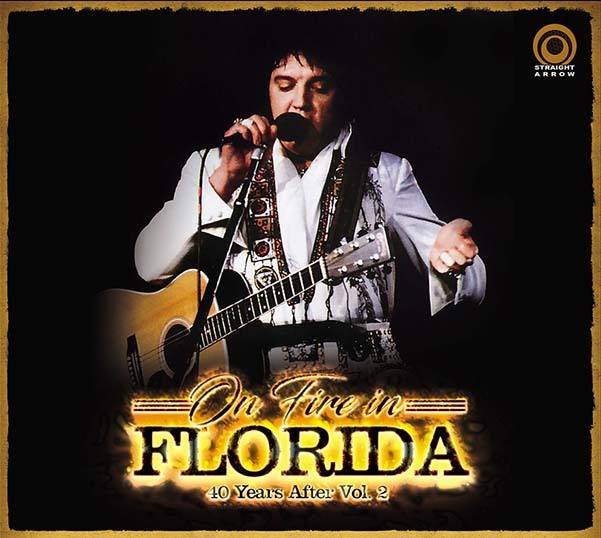 “One Fire In Florida – 40 Years After Vol. 2” è il titolo del nuovo doppio cd della Straight Arrow dedicato al tour di febbraio del 1977. Il primo concerto è del 12 febbraio a Hollywood, pubblicato per la prima volta nel 1994 dalla Stage Entertainment con il titolo “Hot Time In Miami” in qualità audience recoridng. Anche in questo caso siamo di fronte ad una registrazione amatoriale, ma proveniente dal nastro di prima generazione e con il suono rimasterizzato. 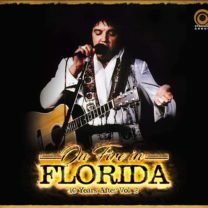 Il secondo concerto è del 13 febbraio a West Palm Beach, pubblicato per la prima volta nel 1999 dalla Southern Style con il titolo “Coming On Strong” in qualità soundboard, ma incompleto. Questa volta la Straight Arrow pubblica quindi per la prima volta il concerto integrale, ma in qualità audio amatoriale, sempre però con lo stesso concetto del concerto precedente. Ricordiamo che il primo volume della Straight Arrow si intitola “Got Me Workin’ Boss Man – 40 Years After Vol. 1”. 01. Introduction: Also Sprach Zarathustra – 02. C. C. Rider – 03. I Got A Woman / Amen – 04. Love Me – 05. If You Love Me (Let Me Know) – 06. You Gave Me A Mountain – 07. Jailhouse Rock – 08. O Sole Mio (Sherrill Nielsen) / It’s Now Or Never – 09. All Shook Up – 10. (Let Me Be Your) Teddy Bear / Don’t Be Cruel – 11. My Boy (on line) / My Way – 12. Little Sister / Return to Sender (one line) – 13. Help Me – 14. Polk Salad Annie – 15. Introductions of singers, musicians, orchestra – 16. Early Mornin’ Rain – 17. What’d I Say – 18. Johnny B. Goode – 19. Drum Solo (Ronnie Tutt) – 20. Bass Solo (Blues – Jerry Scheff) – 21. Piano Solo (Tony Brown) – 22. Love Letters – 23. School Day – 24. Hurt (with reprise) – 25. Hound Dog – 26. Funny How Time Slips Away – 27. Wooden Heart (one line) / Unchained Melody – 28. Can’t Help Falling In Love – 29. Closing Vamp / Announcements. 01. Introduction: Also Sprach Zarathustra – 02. C. C. Rider – 03. I Got A Woman / Amen – 04. Love Me – 05. Little Sister – 06. You Gave Me A Mountain – 07. Blue Suede Shoes – 08. O Sole Mio (Sherrill Nielsen) / It’s Now Or Never – 09. My Way – 10. All Shook Up – 11. (Let Me Be Your) Teddy Bear / Don’t Be Cruel – 12. And I Love You So – 13. Fever – 14. Introductions of singers, musicians, orchestra – 15. Early Mornin’ Rain – 16. What’d I Say – 17. Johnny B. Goode – 18. Drum Solo (Ronnie Tutt) – 19. Bass Solo (Blues – Jerry Scheff) – 20. Piano Solo (Tony Brown) – 21. Blueberry Hill – 22. Love Letters (with break) – 23. School Day – 24. Hurt – 25. Hound Dog (with funny false start) – 26. Danny Boy (Sherrill Nielsen) – 27. Walk With Me (Sherrill Nielsen) – 28. Jailhouse Rock – 29. Can’t Help Falling In Love – 30. Closing Vamp / Announcements.